Product categories of Hydraulic Valve, we are specialized manufacturers from China, Hydraulic Valve, Hydraulic Check Valve suppliers/factory, wholesale high-quality products of Hydraulic Directional Valve R & D and manufacturing, we have the perfect after-sales service and technical support. Look forward to your cooperation! 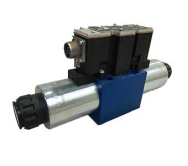 we offer a large range of on/off, and pressure and other hydraulic valves , for all types of applications. From isolator and pressure valves to flow control and directional cartridge valves, you will find exactly what you need to achieve an optimal solution. Please get directly in contact with our Hydraulic Valve specialists.